A program pioneered in the USA is helping Australian pilots with concerns about alcohol or drug misuse return to work safely and efficiently. Known as the Human Intervention Motivation Study (HIMS), the program has been treating American pilots with substance-abuse problems since the 1970s. In the US, it has helped more than 5000 professional pilots return to work, with an 85 per cent success rate. The idea, says CASA’s Principal Medical Officer Dr Michael Drane, is to encourage intervention and rehabilitation before things get out of hand. It’s not an easy road, but because there must be zero tolerance of substance abuse in aviation, the alternative is likely to be a premature and permanent end to a flying career. The cost to the community of alcohol-related social problems alone is staggering. One study estimated that in 2013, 11.5 million work days were lost in Australia due to workers’ alcohol use, at a cost of between $680 million–$3 billion. In 2013, almost one in five people aged 14 or older said they had put themselves or others at risk in the previous 12 months—mostly while driving under the influence of alcohol. Dr Drane said that for pilots, alcohol is not just a question of safety but a personal health issue. ‘Alcoholism is deadly,’ he says. ‘It will kill you.’ It is also associated with many other problems: in the heart, head and liver, to name but a few. When it comes to pilots with a drinking problem, should they cut down, known as harm minimisation, or stop drinking altogether? Dr Drane says harm minimisation raises a number of difficulties for pilots. First, he says, it is difficult to monitor. Second, there is an increased risk of relapse, which can be triggered by something as simple as having a drink at a wedding. ‘The problem is that if you cut down, you can cut up again.’ For people who are sensitive to addictive substances, whether alcohol, drugs or smoking, they can easily develop a craving. Stopping is a far more successful strategy. Alcohol and drug use by pilots is often hidden and may only come to light after a test in the workplace or an accident. In both cases, that’s far too late. 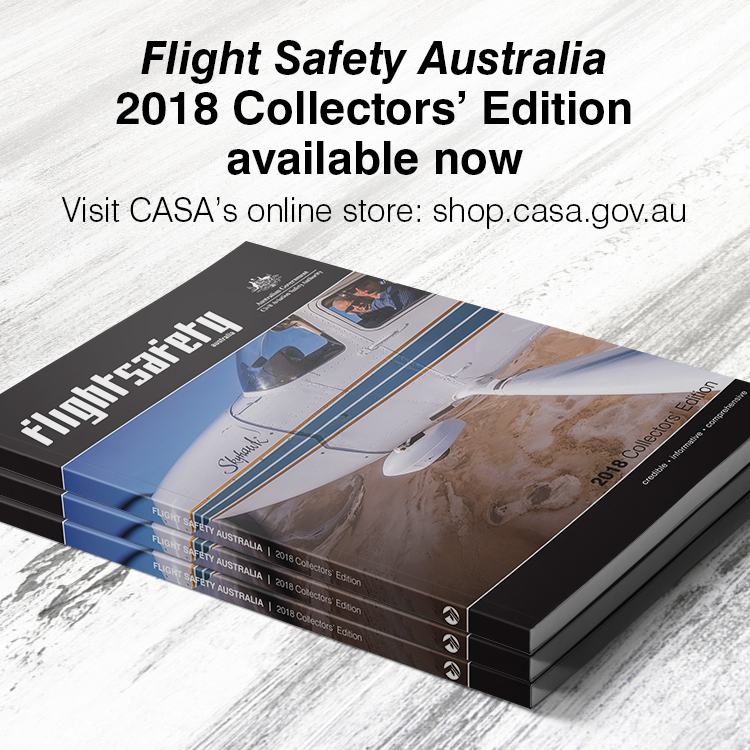 Between 1975 and 2006, 89% of alcohol-related aviation incidents in Australia resulted in an accident, and 67% of those accidents were fatal. The HIMS program is in essence a safety-management system. For pilots diagnosed with a chemical dependency, it provides a checklist for recovery without fear of reprisal; a safe harbour to encourage pilots to self-report before an event with severe repercussions occurs. Colleagues or family members should also feel comfortable discussing concerns with trained peers or medical professionals in the knowledge they are not destroying a pilot’s job or medical certificate. There are too many cases where ‘looking the other way’ has had disastrous consequences for an individual; enabling only exacerbates an already dangerous situation. 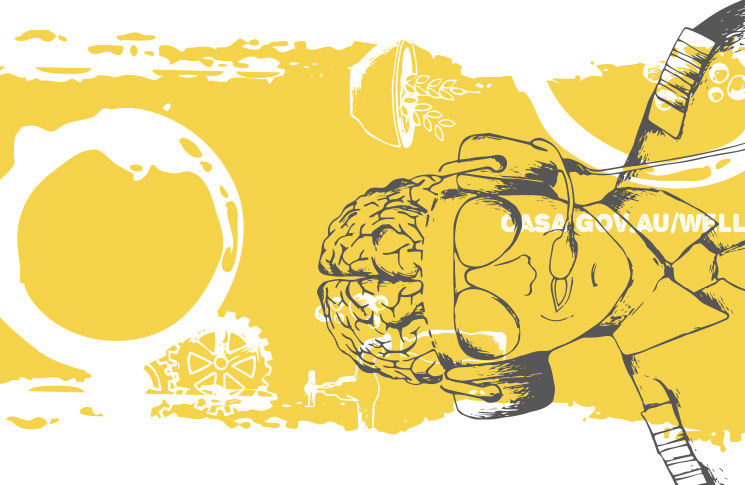 CASA’s complex case team assesses drug and alcohol use on a case-by-case basis. If a pilot’s drinking is found to be problematic (an ICAO definition), it’s up to the pilot to demonstrate that the regulatory requirements have been addressed before his or her medical will be considered for revalidation. Medical assessments look at the condition, its treatment and stability, to decide if the standard is met. In most cases, CASA will look for evidence that the pilot has been dry for at least a year and is likely to remain that way. ‘Alcohol misuse causes serious health problems, despite the bravado often associated with its use. Treatment is most effective when there is total abstinence, and the pilot will find it easier to demonstrate stability when alcohol is no longer used at all,’ Dr Drane says. HIMS provides ways in which individuals, their families or colleagues can talk about concerns related to alcohol or drugs. By focusing on support rather than reinforcing the stigma, it also encourages open reporting of drug and alcohol problems. It provides a network of people with experience in dealing with substance use issues, who offer advice and assistance to anyone with concerns. Treatment will involve mentors, colleagues, family, Designated Aviation Medical Examiners (DAMES) and other health professionals to plot a path to recovery. Blood or breath tests are also required to demonstrate abstinence. For larger operations who have signed up to the program, HIMS provides pilots with fast but intensive treatment which improves their chances of returning to the cockpit sooner. The pilot attends an inpatient facility for 28 days, is provided with a pilot mentor, has weekly blood tests, and attends weekly meetings and therapy. Recovery is managed in conjunction with the operator, regulator and support network. This makes it easier to ensure the necessary stability required of aircrew, before returning to flying, and greatly accelerates the return to work process. Dr Drane said that the cost is small compared with the $1 million or so it would cost to replace a pilot. General aviation operators don’t have the same resources as the airlines, and are often located in regional or rural areas, but Dr Drane says it’s also in their interest to encourage rehabilitation rather than metaphorically writing off those with a substance abuse problem—or ignoring it and having them literally write themselves, and others, off. Where tailored rehabilitation programs aren’t feasible, local resources are important. Organisations such as flying clubs are encouraged to spread the word and provide mentoring and support. Local DAMES, other health professionals, and drug and alcohol treatment programs are also important. Dr Drane should rethink his views on depression. I’d be happy to sit next to a pilot who is receiving appropriate treatment for depression. Unfortunately the regime Dr Drane administers actually encourages depressed pilots to fly because they know they will be punished by the current AvMed system if they seek the treatment that will make them safe.